Don't get me wrong -- I am your average meat-eating, dairy-loving female who has enjoyed a lot of meat dishes in all forms (most especially when I was living back in Manila). I am typical -- someone who caves in to the dessert in all forms -- ice cream, chocolates, cupcakes, donuts, brownies, cakes, etc you name it. I love chicken wings (and back then a fan of KFC), I occasionally visited McDonalds and would consider eating fast food every now and then. I am also someone who is conscious of my body -- so over time I did balance out all these food consumption with exercise and activities -- be it swimming, walking or running, badminton and yoga. Despite the busy lifestyle we all have, I tried my very best to maintain my weight, and though I found it challenging to shed of the post-baby weight, I managed to do it. Now, I am 9 months pregnant and ready to deliver in a week's time... and soon will be faced with post-pregnancy fats once again... except this time I am much older than the first pregnancy -- so that may be a problem (I hope not). I miss running outdoors and on the treadmill. Like I said, I am your typical Asian girl who eats and exercises. However, there is a transformation which recently happened -- and though I am not fully vegetarian at this point in time... I am considering it seriously especially after I give birth (this September) and recover from the confinement period. So the question is, what happened and why was there a transformation? My mother who lives in Manila is an advocate of drinking green juices made of Malunggay or Moringga leaves together with some fruits. She would blend these leaves together with banana or other fruits. In the past 3 years that she has been doing this, she noticed a lot of changes in her body. She is now 60 years old, but looks younger than her age, as well as younger than her siblings (who are younger than her). Her skin is great and glowing, and she also noticed the slight baldness and shedding of hair has in fact reversed -- lots of hair growing back on the top of the head where it used to be thinning out. She also has a lot of energy for someone her age, and many often would compliment her for the complexion and say she looks even better than when she was younger. She would often ask me if I blended some moringga leaf here in KL, which I sometimes would. Unlike Manila, here the markets do not sell Moringga leaves... only the fruits. So I struggle to find those leaves which have so many medicinal properties. It is considered a miracle plant back in the Philippines -- because it can cure many things and have so many properties that are beyond imagination for a small leaf like that. I was able to order some Moringga leaf at the TTDI market just recently -- through a Malay lady who has a fruit and vegetable shop. I had to convince her and follow up several times before she could get it for me. She mentioned that Malaysians usually just buy the fruit and no one buys the leaves. Thankfully after much convincing (and seeing that I am pregnant), she gave in. Now I have some stock. 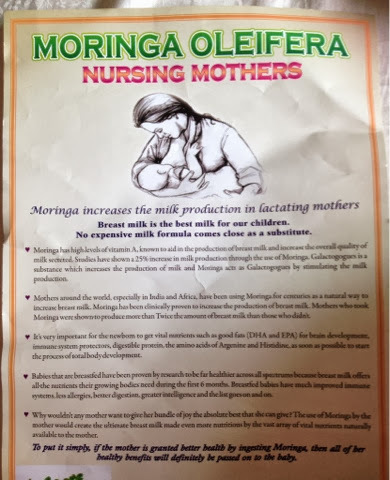 It is proven that when you drink soup with a lot of moringga leaf, you can get more breastmilk, and that is why I am gearing up on some stock. You can read more about Moringga here. You will be amazed with all the properties of this leaf. Back to the vegetarian story and why I could envision myself turning into one. After all the talk about moringga, the next stage was talking about juicing. We bought some new blenders which can effectively blend smoothies and so far we have been happy with the Philips brand. We used it to blend the leaves with fruits and sometimes a little bit of iced tea (to make it tasty). After a while, I got tired of the blending -- simply because there is too much fiber and we would need plenty water or juice to thin out the mixture. Since my old Philips juicer stopped working a year ago, I was considering in buying a new one -- but like all consumers -- it is confusing out there! We don't know which one effectively to buy. I read up on juicers and found out about the new breed of masticating juicers which are more effective in juicing out the enzymes from fruits and vegetables. The problem is it is way pricier than the normal juicers out there -- and when I say normal it means these are the centrifugal juicers which are available everywhere. The normal juicers which uses high-speed blades to separate the juice from the fiber, the type that sounds like a jet airplane taking off when you turn on the machine. There are cheap versions and expensive ones -- depending on the wattage. But after careful study -- the best is to invest in a slow, masticating juicer so that you get optimum vitamins and enzymes from your produce. After I decided on purchasing one, I had no regrets. I have been juicing for more than a month now. And what started as just juicing snowballed into other things. This is how the journey started. I read up on Jason Vale, a guy who is popular in the UK for juicing, in fact they call him a Juice Master. He encouraged people to go on juice fasts which will help cleanse the insides of our body -- since we have been pouring toxins and junk stuff in it for so many years. Listening to him and reading his website got me more and more convinced about Juice Fasting. I investigated further. 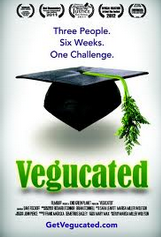 Juice fasting research will surely land you on this movie-documentary called: Fat, Sick and Nearly Dead (see LINK here). An Australian called Joe Cross who documents his 60-days of juice fasting -- its effect and how he influenced other peoples' lives. It is such an inspiring documentary -- I highly recommend people to watch it. Easy to watch and entertaining, it will show you the transformation of a normal overweight male to a healthy & younger-looking Joe Cross after the fast. So after watching these two guys talking and documenting their lives and how it has changed -- my husband was convinced on the juice fast. He went on a juice fast for 3 weeks. For 3 long weeks, he had juices for breakfast and lunch, plus extra juices in between. Then on the evenings, I would serve soup or salad -- so that we could still have some family time and he would not feel too deprived. He lost 5kg in that 3 weeks. 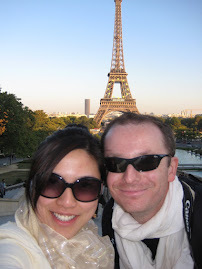 He had more energy than when we were eating full meals, and went on exercise more often than back then (when I would nag him to go exercise). He went on 10k running at TTDI and 12-14km hikes on TTDI trails ... and he would do that back to back on Saturdays and Sundays. Apart from that interesting documentary, the search for more knowledge landed me on more films which are out there -- yet left undiscovered by our family despite the internet age. I am thankful I took time to watch these -- as it helped shift the perspective on our diets. On how we can change and eat for the better. How I have been living on an unhealthy diet despite knowing the information that we should eat our VEGETABLES and FRUITS. The following are the films and documentaries I watched, coupled with some notes on my opinion of them so you could get a preview of what it is about. Embarking on this discovery really convinced me, my husband and even my maid (who would watch with me oftentimes), that the way to go is vegetarian -- or at least to turn most of our life's meals into vegetarian. The Gerson Therapy - this came up several times when I searched for juicing. You will discover that somewhere in Mexico, there is an institute who used juicing and colon cleansing to treat cancer. The more I read and watched about the Gerson Therapy, the more fascinated I was. The work they have done is amazing. They were able to cure cancer. Not all cases though -- but it provides hope to certain types of cancer and people who are willing to go the natural way -- rather than chemotherapy. It's interesting an article came up recently saying that a majority of doctors wouldn't undergo chemotherapy themselves. I guess it's the effect of watching many of their patients suffer through it. While the Gerson therapy -- the daughter of Max Gerson herself, would try and test all the procedures that go along with it... drinking the juices, cleansing the colon, etc. What a big difference. If you want a quick summary preview of what Gerson Therapy is, just check out this 1 minute film on YOUTUBE which summarizes it easily. This also gives you a preview to FOOD MATTERS, a film that I would recommend people to watch. In fact, I would like to share the list -- a rundown of films which I have watched over the past weeks which really opened my eyes to the world we are in today -- a world of over-eating, a world of too much meat and fast foods that are leading to unhealthy lifestyles. The unhealthy lifestyle will end in serious diseases, one which we face so commonly today, in the form of diabetes, skin diseases, obesity, heart diseases, and cancer. 1. Fat, Sick and Nearly Dead - entertaining and easy to watch. Will surely be inspired! This Australian will make you change your mind about juice fasting-- even if you just do it for a day or few days to cleanse and detox your body. Watch his transformation -- you won't believe the changes! 2. Forks Over Knives - will open your eyes to what can really help heal our bodies -- which is plant-based diets. Very informative with studies and statistics that will convince you as well that MILK -- yes, cow's milk is bad for you. 3. Food Matters - includes a bit of introduction to the Gerson therapy, as well as discussion about how vitamins and minerals can help heal our bodies the natural way. 4. Hungry for Change - a follow up to the earlier film mentioned (Food Matters). I found this one more interesting than Food Matters, especially as it included personalities sharing their own experiences of change. You will see extreme cases where these people were so overweight and their perspective on how we can overcome these through proper diet. 5. Food Inc. - this one will need some preparation -- you will get a sneak peek into the slaughterhouses which will not be a pretty picture. It talks about how fast food changed the way we eat and the way the food industry is driven. The impact of fast food's demand for even-shaped chicken, how farmers had to obey the multi-nationals in terms of their demands -- which in the end results to animal cruelty. The old picture of "Old Macdonald had a farm" where animals roamed freely is now a myth. The "farms" where animals are raised are really horrible. 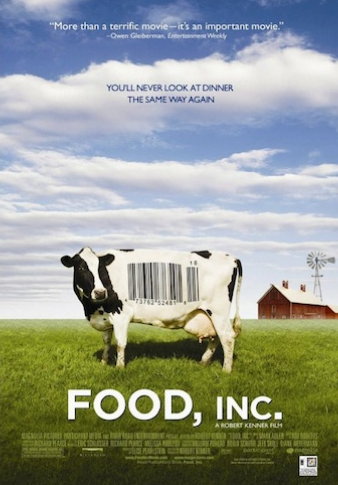 This will really make you think differently about your food. It includes hidden cameras which gives you a sneak peek into factories that don't want you to see what's really going on. 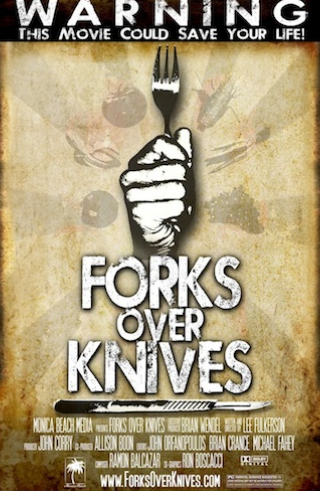 A light film about New Yorkers who took the challenge -- and became vegetarians. 7. The Gerson Miracle - this is where you meet up close and personal many people who survived cancer -- through the Gerson Therapy. Instead of chemotherapy, they chose the natural path and survived. The Cure for Cancer is in fact known yet I don't understand why the US government and many doctors oppose to talking about it. They doubt the results and try to discredit what is in fact something that could help people. 8. The Beautiful Truth - this explores the Gerson therapy through the eyes of a young boy, someone who read up on Gerson Therapy and became curious about it. He meets with different kinds of people -- from scientists, doctors to patients as he embarked on the journey to find out the truth. 9. Supersize Me - Oh my ... this one was the opposite of Fat, Sick and Nearly Dead. 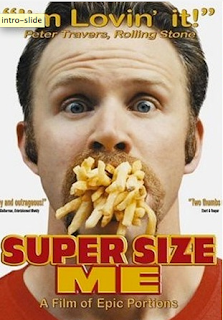 This film supersize me shows a healthy guy who becomes unhealthy -- to the brink of hurting his liver through a strict McDonald's diet for 30 days. Even the doctors did not suspect that a diet of fast food for 30 days will have THAT much of a bad effect, they thought only cholesterol levels would go up -- but they were wrong. So MANY MANY things change when we eat fast food for many days straight -- and this guy went through hell and back just to prove it to us. SuperSize Me will surely make you think twice before you enter McDonald's again. 10. 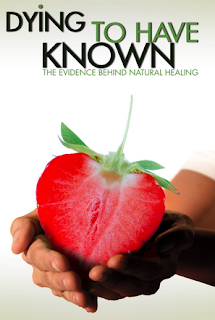 Dying to Have Known - a film maker who loves nature and mother Earth gets curious about the Gerson Therapy. So he set out a journey to find out for himself-- to prove or disprove that the Gerson Therapy works. He want to know for himself so he went on a 52-day journey to get evidence and conduct interviews. I am positive that there are many more films to be viewed, which I am excited to explore. I will eventually share an updated list. Meanwhile, I hope to leave you with these... pick and choose which one interests you more. All I know is that the combination of those films -- plus your own common sense -- will convince you that going back to our roots -- a plant-based diet is the way to go. It is more humane. It is healthier. It is the right way. I don't know if I can sustain a full vegan or vegetarian way of life. All I know is that we have to effect some changes NOW. For our future and the future of our children. I see so many "unhealthy" people walking around. Am I jumping into conclusions when I say unhealthy? Well, try sitting in a cafe in KL and watch how many people with huge bellies and can't walk properly passing by. You can see how many people are lining up for fast food like McDonald's and KFC -- and I just hope for their sake that they are not eating those every single day. I used to think it was acceptable to eat fast food every now and then. After the films I have watched, believe me, you would think twice -- especially as I allowed my daughter to eat those stuff. Never again. So far my daughter has been enjoying tofu, squash soup and zucchini soup that I have prepared. She is getting to know more and more vegetables and been drinking carrot-apple-orange juice every morning instead of milk. I know there is a long journey for our vegetarian discovery -- and I am eager to learn new recipes that I have never tried. I have started to venture out of my comfort zone in terms of restaurants that we frequent -- and tried some of those organic / vegetarian places. I also started shopping at some organic shops, plus I am happy to see that the online delivery system for Organic produce is starting to gain momentum (though I haven't tried their services yet). Once I deliver this baby, the true test begins. I hope that people who read this will at least take the first step -- watch the films. Try out a vegetarian restaurant. 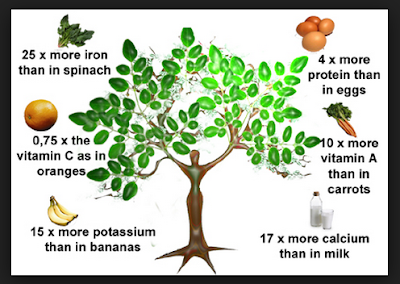 Read up on the effects of a plant-based diet. Don't wait until it is too late. 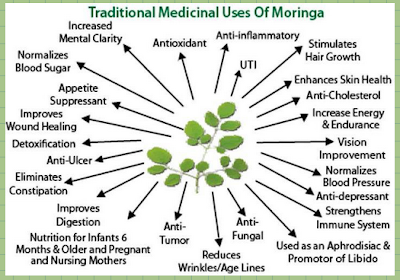 Hello.. Would you kindly tell me how many Moringa leaf your mother uses for each drink? You will need a whole bunch as the leaves are very small. Either you can drink it fresh or you can let it dry out and then use it for tea or add into the blender (into your juice). 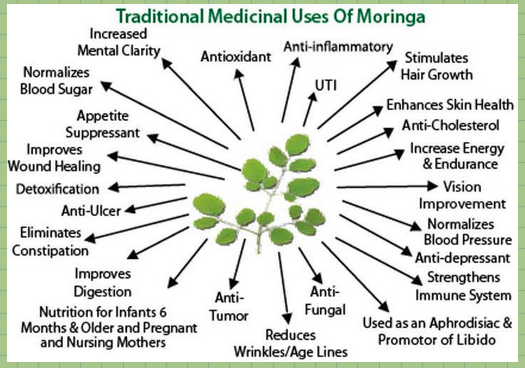 You can get Moringa leaf from Brickfields. So many shops selling the leaf. oh may I know how to we call this leaves locally ?